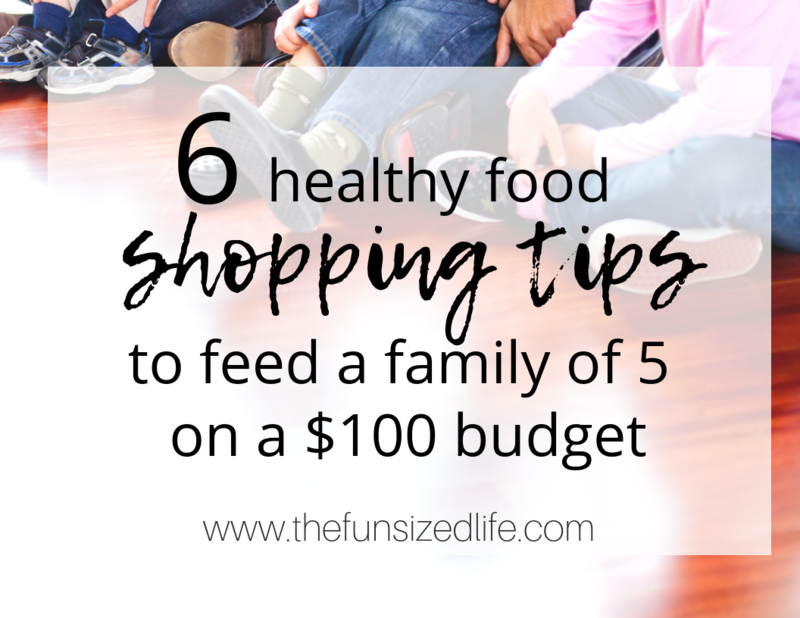 Now it’s crazy to me since we have started downsizing our debt and living on a budget how much we are able to spend when it comes to grocery shopping for our family of 5. It took me years to get to this point and I don’t want that for you. So let me tell you about how my family of 5 eats healthy for $100 a week. It is crazy how much I let my obsession with strawberries hold me back for so long. I know I can’t be the only one! Whether strawberries were $2 or $6, I would buy them; I would buy a lot of them. It of course took a celebrity for me to start thinking about this whole shopping in season thing. Kristin Bell talked about her vegan diet and how she had a garden and always tried to buy fresh fruits and vegetables that were in season. Not only are these foods healthier for you but they are less expensive; like sometimes half the cost! Now I find myself branching out in the grocery stores. Instead of always going for the berries, my family now eats pears and pomegranates in the winter. When I first heard about this concept I was totally overwhelmed. How in the world was I supposed to know what was in season and what wasn’t? I tried to study charts and remember when I got to the store but it all became too much. Well, I’m about to drop a truth bomb for ya’ll. If it’s cheaper…it’s in season. Boom. Easy as that. Oh, and avocados and apples are a free for all. They are good all year round. Like I said, one of my hugest mistakes when starting to eat a healthier diet was that I thought it all had to be organic. So much so that I bought whatever was organic without even looking at the ingredients, sugar or salt content. Just because it’s organic, doesn’t mean it’s something you should be consuming on a daily basis. A lot of organic foods are still heavily processed which isn’t a good idea if you are trying to eat healthy. Beyond processed, there are a few swaps you can make from organic to non-organic if you are trying to shop on a budget. Here are a few of the little swaps we have done. Using organic eggs for eating plain and non-organic for baking and in recipes. In the stores non-organic eggs are generally 1/4 the cost of organic eggs. You can also save a ton by shopping in bulk at Costco. The price of 2 dozen eggs is similar to the cost of 1 dozen at most other grocery stores. Buy “protected” fruits and vegetables. There are veggies known as “the dirty dozen” that are the most filled with pesticides. Reading about these was similar to in-season produce for me. It was too hard to remember all the details. Then I realized how easy it was. Basically, if your produce is “protected” like pineapple, mangos, bananas and melons it’s a safer bet than those that aren’t. These are of course preferences of yours, but they are choices my family has made in order to continue eating healthy while still maintaining wise spending so that we are more free to do other healthy activities together as family. For some free ideas for your health and fitness see my post all about it: Set Health and Fitness Goals on a Budget. People are consuming far more protein than necessary these days, especially when it comes to animal proteins. Things like meat and cheese are things our family has majorly cut back on in order to get right with our health and our budget. I know not everyone consumes animal proteins, but this could easily go for vegan cheeses, beans, lentils and tofu as well. Cut back on the cheese. We have found ways to add additional flavors into our meals so that we aren’t using dairy heavy products like cheese or cream as the main flavor source. Create burgers with wild rice – this is especially great for meal prepping and it adds additional flavor. Combine your proteins with large stir fries of vegetables – this makes a little bit go a long way. Create pasta dishes, stews or chowder – you can feed an entire family for 2 days with 2 chicken breasts if you toss in some noodles, veggies and broth! If you are a vegetarian/vegan or are someone who is trying to incorporate beans into their diet for the many health benefits, consider making the swap from canned to bagged. 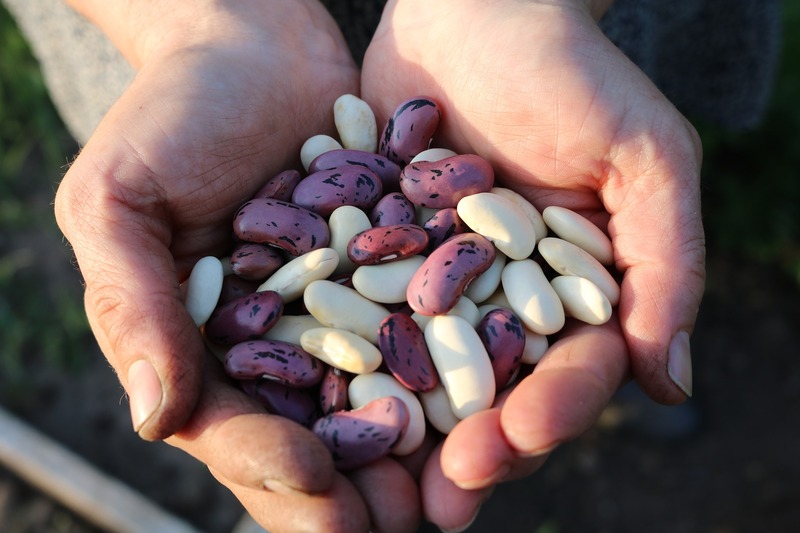 Yes, it’s true, it takes longer to make beans if you buy them from the bag. Really all it requires is soaking them (that takes 30 seconds of your time) and then cooking them when they are needed. These are similar to eggs in the sense that you can get 3 times as much for the same price as one can of beans. *This post contains affiliate link. For more information, see my disclosures. Before I start shopping, I browse all my coupon and discount recourses. Some places don’t have a wide range of coupons, but there are places like Target that offer coupons, take manufacturer coupons and also have a discount app you can use. I also like to use my Fun Sized Budget Bundle to plan my savings ahead of time so I can be super organized when it comes to grocery shopping. It is absolutely crucial to plan ahead of time. Get your meals mapped out, and plan for if they will be enough for one day or two. This will give you a good idea of the price range you’re in and you can decide if you need to make changes. Another tip for planning ahead is to make sure you have already checked the cupboards for what you already have! For example, we almost always have our Costco sized bag of rice on hand which allows me to plan for 1-2 meals throughout the week. I promise, promise that living on a tight budget is totally doable with a family. It’s just a matter of changing a few habits around! Great information and inspiration here! I completely agree with you about seasonal produce and spread my money out even more by utilizing the farmers market all spring, summer and fall!! I love the idea of a more plant/based menu and look forward to incorporating that on hot date dinner in the New Year!!? YES! We love the Farmer’s Market! I can’t believe I didn’t mention that. These are such great tips. I’m embarrassed to admit that I spend about that much on a family of two! It’s one of my goals to budget more wisely with food this year, and your prep-ahead suggestions are so important. Do you have any favorite/ go-to quick-and-easy weeknight meals? Don’t be embarrassed! We used to spend $300 a week on a family of three, then $500 on a family of 5! Talk about embarrassing. As far as quick and easy meals I often turn to whatever few leftovers we might have. I also like to have a jar of spaghetti sauce on hand to whip up spaghetti. I’ve also let go of the idea of needing to have beautiful meals all the time. Sometimes dinner is rice cakes with peanut butter, an apple, a full carrot and an egg. Haha. Whatever random things I can pull together! I go to the grocery store once every three months. We grow, hunt or raise almost all of our food. We eat many different bean meals. That is so great! I have attempted a garden 3 times and failed miserably each time. I’m so jealous of those who have that green thumb! Girl, you nailed it all. This is the route I had to go as well. Thanks! It’s kind tough to really break down what steps we took but I’m sure glad we took em! This was a very useful and informative post. I pinned it so I can refer back to it. I’m trying to cut back on my grocery bill as well and I’m considering cutting back on meat. I agree on not always focusing on organic food as it seems to be overpriced. Thank you for sharing. So glad you enjoyed it Anissa! I hope you can enter this new year with some serious awesomeness! Okay I feel like “shopping in season” is such a no-brainer for saving money yet still I don’t do it!! I have my staples of produce that I NEED to buy no matter the price each time I go to the store, and it’s just so silly!! I love this tip and will definitely be keeping this in mind!! Thank you! It’s definitely tough when you know what you like! Great tips! Shopping in season is such a good tip, it’s cheaper and I think fruit and veggies tend to taste better when they are in season. grocery is the biggest part of our spending I even stopped tracking because it was depressing lol, I have put it on my new resolution to start tracking again and see where to trim a little, these are all great idea, especially ibotta one I got to give it a try and see. Ibotta is my latest obsession! Definitely recommend giving it a try. Every little bit helps! This is very helpful! I always buy grapes, and I recently had an incident whee I bought like 2lbs of grapes and it cost me almost 10$. I was devastated. Now I buy in season too. These are eeally great tips to help with helath and $$ for the new year. Yup…have no shame in returning those grapes! Haha. Thank you for this post! I carry some guilt with me all of the time about not feeding my family organic food 100% of the time. Staying away from the dirty dozen is a good way to cut the expense of organic food! Also, I LOVE IBOTTA too! It’s such a great app. I have definitely been there. I had to let go of a little bit. So glad you’re using Ibotta! I try not to be pushy with but it’s just unbelievable how great it is! Great tips! I have recently started meal planning and can tell you that shopping in season and planning ahead makes a world of difference. It’s inspiring to know you can feed a family of 5 for $100. I’m not quite there yet, but certainly working on it. It really does! Thanks Karrie! Thanks so much for these tips. Our grocery bill is out of hand lately and we talk about eating healthier all the time. I’m going to keeps your tips in mind like shopping in season when picking our food next time and see how much of a change it makes. I can’t wait to spend less. Thanks so much! Good luck Jenna! Hope you can find little ways to cut back! Love this! People forgot how easy it is to eat well and it really doesn’t have to be expensive. I love a good lentil stew over some brown rice. I have at least 3 vegan meals a week and it really is a money saver. Thanks for the great post! I was just dreaming about that exact meal today! How funny! These are all great tips. I am trying to use more beans in our diet, but seem to be having a hard time actually doing it. It is tricky to make the switch but they are so beneficial in so many ways! Wow! I am impressed! We are looking st cutting back on our grocery bill as well. These are excellent tips. Thanks! Thanks Elle! Hope you took some new ideas out of it!